Ms. Lassiter was a kindergarten teacher who passed away suddenly at 24 years old, only 6 weeks into her first year of teaching. She was so passionate about her students, she started purchasing a collection of multi-cultural books for her classroom with her own money. 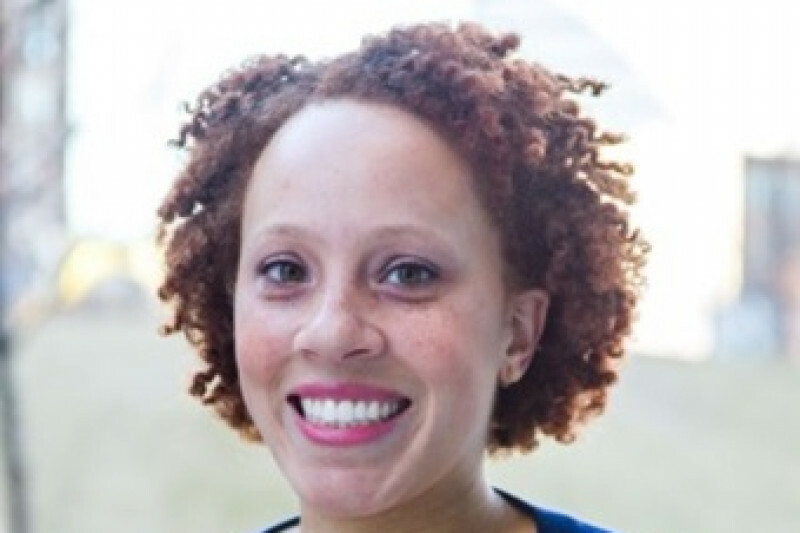 She discovered her passion for teaching, with a particular emphasis on early childhood education, during her year of service with City Year Dallas in 2015. This fund is to continue her efforts by purchasing additional books for the kindergarten students at Umphrey Lee Elementary School. Books will be purchased by her family in coordination with the Principal and Kindergarten teachers of Umphrey Lee Elementary School. Cincinnati, Ohio - specifically, the home where Lindsey resided through her HS & College years, until she moved to Dallas for her advanced degree and to start teaching. 3. Your relationship to the parties you're raising funds for? 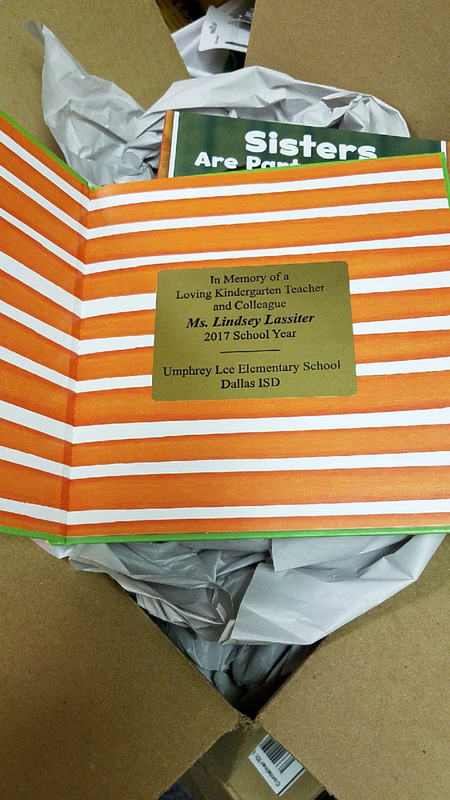 Her Mother and I will be managing the funds, and using them for the support of the Lindsey Lassiter Memorial Library - which will be dedicated in cooperation with the Principle and KG teachers at Umphrey Lee Elementary, in Dallas, Texas. 4. How the funds will be used (be specific as possible)? We are working with the School, as listed in #3, to determine if new shelving will be needed, and then using a list of books that Lindsey put together to purchase books to fill those shelves in the 3 Kindergarten rooms at ULee school. We may also purchase books for the main school library as well. ULee wants to have plaques put up in her memory as well. 5. How you plan to use the money on their behalf? As stated in #4, her mother and I will be purchasing books, plaques, and possibly shelves for the school, and going to Texas for the ribbon cutting ceremony, which will be scheduled by the school. 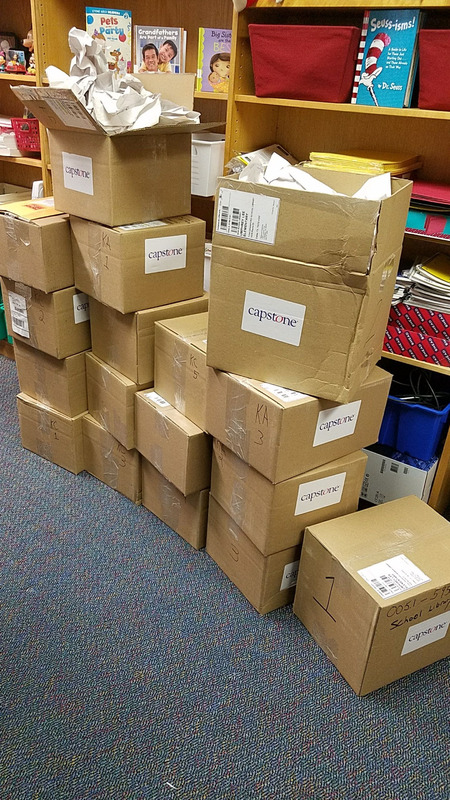 So, the books have been delivered to the School in Texas. And each has a wonderful dedication to Lindsey inside. The Ribbon Cutting will be on March 5th at ULee Elementary, and we will let you know what time, just in case anyone is local and would like to attend. Thanks again to everyone for their generosity. Hopefully this will help children for many years to come. 18 cases of books... YEAH..! Hello from Lindsey's Family... We would like to take a moment to thank everyone for their donations. We've been in contact with the ULee Elementary School Librarian, and plans are underway to get the memorial library installed. Thanks to the size of the donations, not only are we going to put shelves of books in Lindsey's classroom, but we are working to give a personal set of books to each of the 90+ kindergarten students. Additionally, we are talking about putting a shelf in the actual library with books for the kindergarten students. And they'd like to put up a plaque and have a ribbon cutting. We are very excited to be putting together such a great tribute to her - all because of your generosity... Thank you all so much..!!! THANKS to everyone who has donated so far...!!! The family of Lindsey are so excited about the opportunity to establish a Memorial Library in her honor. The Umphrey Lee Elementary School and Teachers are also very excited and want to add dedication plaques in both her classroom and in the main Elementary School Library. We greatly appreciate your support to further Lindsey's dream of educating young children.